With more than 7 million copies sold The Power of Positive Thinking has helped millions of men and women to achieve fulfillment in their lives. In this phenomenal bestseller, Dr. Peale demonstrates the power of faith in action. He outlines practical techniques that can energize your life — and give you the initiative needed to carry out your ambitions and hopes. 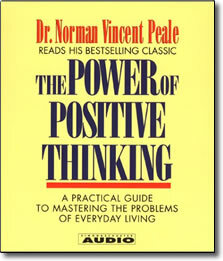 Unparalleled in its extraordinary capacity for restoring the faltering faith of millions, The Power of Positive Thinking offers the essence of Dr. Peale’s profound method for mastering the problems of everyday living.